As far as I could tell, the reaction from the crowd was one of surprise but that did not surprise me. As someone who sells customer experience management solutions to SMBs and enterprise companies, I regularly run into executives who simply do not understand the degree to which applications like SnapChat, WhatsApp and Facebook Messenger are ingrained in the daily lives of millennials. This is not necessarily a failure on their behalf, but not acknowledging that lack of understanding is a huge error. Maybe Ken’s initial suggestion was a little over the top and he seemed to recognise that sense of surprise in the room. He subsequently drew back a little and softened the suggestion to a “shadow millennial board” that reports to the full board. This seemed like a more palatable solution to the execs I chatted with afterwards over coffee. The exact arrangement is not the point. The willingness to listen and be influenced by younger colleagues is the message he was trying to get across. People often go on about the lack of women in board positions, which results in a severe lack of balance. That is very true, but the same rule applies to a lack of balance in age profile. How are a group of fifty-something men supposed to know what a group of twenty-something millennials want? Market research? Sure! But why not take the view of the millennials in your own organisation? The speed at which technology changes these days makes it very difficult for individuals and organisations to stay on top of it all. Smart senior management teams will be aware of that and will act accordingly by taking counsel from those who are in the know. In the past that would likely have been an experienced industry expert and for many areas that will still be the case. But in this case you most likely have “experts” working in your offices being paid considerably lower hourly rates than your typical consultant charges. Don’t fall into the trap of picking a half dozen of your smartest MBA graduates for this role. 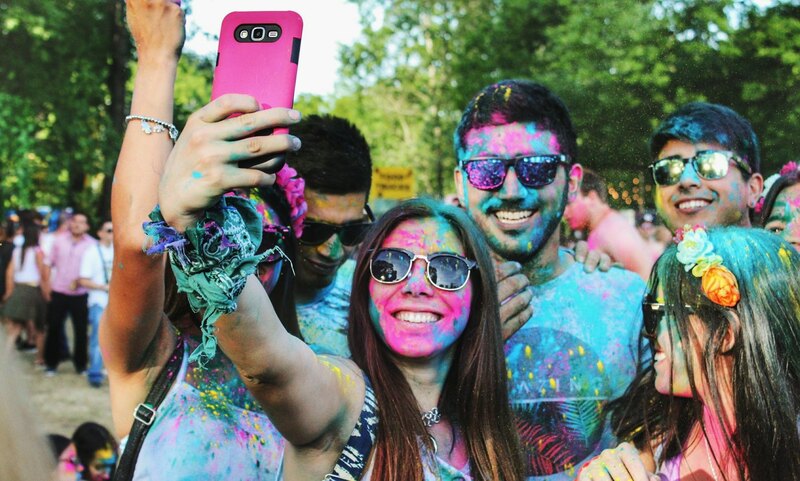 Including one or two is a good idea to keep the group focused, but your millennial customers are not all going to be MBA types. Make sure you get a good gender mix and also include people in more social positions such as sales, reception and HR. Once you have identified the individual(s) in your company who will act as your millennial sounding board, the next step is to marry what your organisation does or sells with how and where millennials communicate. This is very much in the same vein as using a persona, but it is important that the actual persona is in the room as much as possible. The 5 Ws will serve you well here as this is an information-gathering exercise. What channels do you use to communicate with friends? Where do you and your friends hang out online? Why would you appreciate a business engaging with you on WhatsApp or Facebook Messenger over email or web chat? What sort of language would you like to hear a business using on these channels? When do you prefer to hear from a business? Based on the feedback from your shadow millennial board, conduct some small-scale experiments to see if and how millennials react. I would recommend using an ICE Matrix like process to help identify the best experiments to run and judge performance based on metrics like Net Promoter Score and/or basic customer engagement levels where a new channel is being tested. Bring the results back to your millennials and fine tune the experiments until such time as you are confident enough to put some budget behind certain activities. Then it’s time to go back to the real board to present the results and any proposed new strategy. This is not the sort of initiative to plan out for months on end because things change so quickly that you will always be behind the curve. Big organisations who want to differentiate themselves in the market with younger customers need to think young. I don’t just mean think like millennials… I mean think like a startup. Give autonomy to a small team to set up this process and conduct small-scale experiments. Only bring the slow-moving cogs into play when you are ready to spend some serious money! And once you’ve had some success engaging with millennials… start thinking about generation Z.